Upgraded Nokia 5 will go on sale from midnight today. Nokia 5 was launched in India in June and went on sale at Rs. 12,499 via the official stores in mid-August. 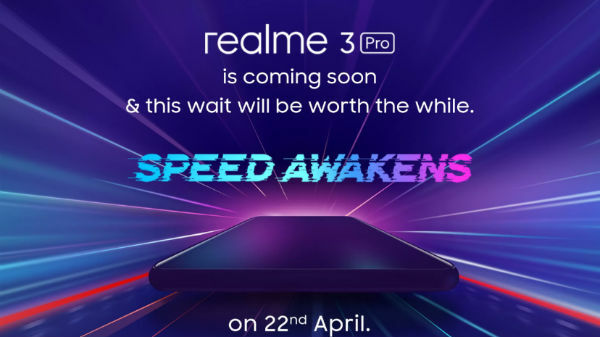 Initially, only the 2GB RAM variant was launched and it came in as a disappointment to the Nokia fans as there are smartphones with better specs in this price bracket. Understanding the demand of the Nokia fans, HMD seems to have quietly announced a new variant of the Nokia 5 with 3GB RAM in India. It has been announced by HMD India that this variant of Nokia 5 will be exclusive to Flipkart for a week and will be available via select retail outlets from November 14. 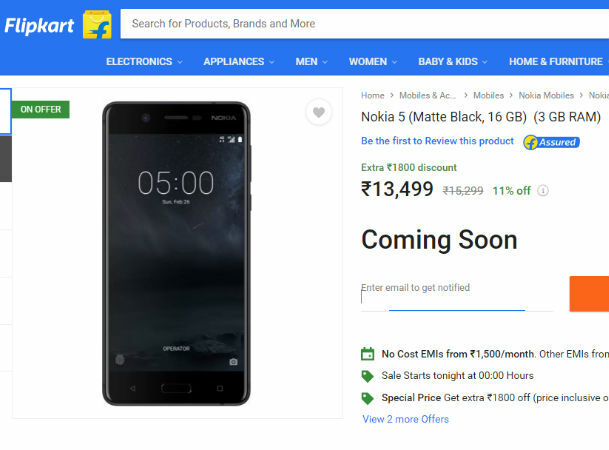 Given that the sale will debut tomorrow, Flipkart has already listed the Nokia 5 with 3GB RAM as coming soon with a price tag of Rs. 13,499. Apart from the change in the RAM, the other specifications and features of the Nokia 5 will be the same. To refresh on the specifications of the Nokia 5, the smartphone boasts of a 5.2-inch IPS 2.5D Corning Gorilla Glass display with an HD screen resolution of 1280 x 720 pixels. At its heart, there operates a quad-core Snapdragon 430 64-bit processor paired with 3GB RAM and 16GB storage space that can be further expanded up to 128GB via the dedicated microSD card slot. For imaging, the smartphone flaunts a 13MP primary camera with PDAF and an 8MP selfie camera at the front. 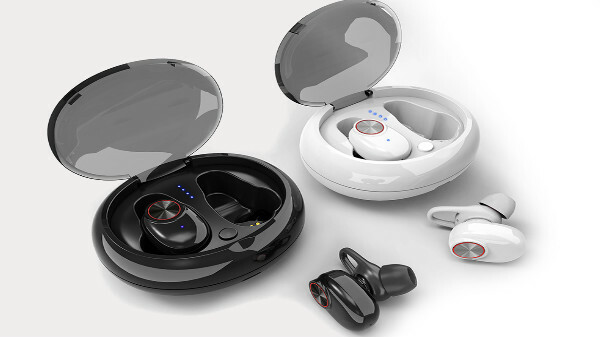 The smartphone supports dual SIM cards, 4G VoLTE, Bluetooth, Wi-Fi and other standard connectivity aspects. This smartphone gets the power from a 3000mAh battery that can render a decent backup to the device. Though the Nokia 5 was launched with Android 7.1.1 Nougat, the device has already been updated to Android 7.1.2 Nougat and will get the Android Oreo update by the end of this year. Also, the company has assured that the Nokia 5 and other Nokia Android smartphones will get the Android P update next year as they will have two years of OS support.